We all love our pets, and they are curious, adventurous, playful, and brave. We are sure that deep inside they know who is going to win in a battle with a bee, but they are always up to the challenge and hope that one day the bee will lose. One day, maybe. But not this time. We are so sorry for them, but they look so funny and adorable with their bee-challenged faces. Remember, if it ever happens to your pet, TAKE THEM TO THE VET and get treatment. Don’t use human-grade antihistamines because the concentration of any medication must be calculated correctly according to your pet’s weight. Then take a photo of the cartoon version of your furry friend. Scroll down, and have a bit of a giggle. We are also pet lovers here at Bright Side, and we can happily say that each of these pets made a full recovery. Rudolph had a red nose, but the one the bee gave me is shinier. "Bees? No, it’s bubblegum... I blew a bubble." The bee helped me with my cheeky koala smile. What do you think? Oops. I thought it was a fly. Just watch out for my big right hook. I did battle with the bees for the strawberries in my human’s garden. The victory was hard. Bigfoot is real! Here I am...EXPOSED. They said that if I had the lips like Jagger, I would get the moves like Jagger. I know it looks bad, but you should see the other guy. 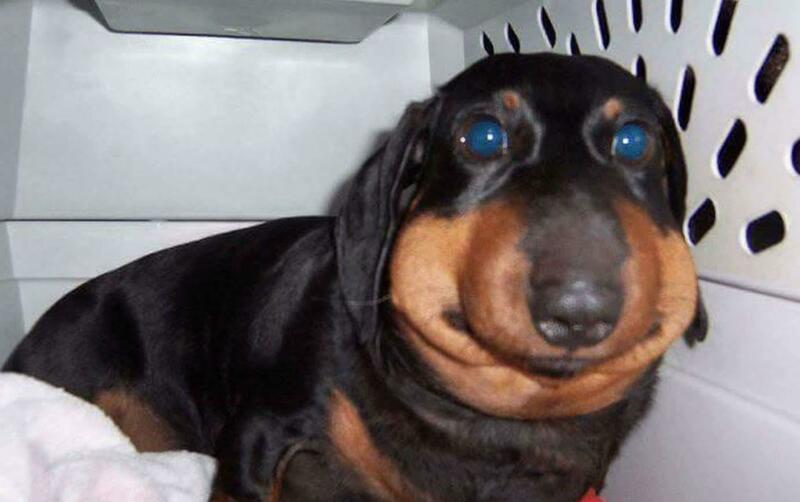 Eat a bee, they said. It’ll be fun, they said. It wasn’t the bee. I just had Botox. I am a boxer, yes...but I was severely outnumbered. I really don’t know what breed I am anymore. I am a sniffer dog, and I am on duty today. Has your dog or cat had a bee incident? We hope that they are ok and that it never happens again! Attach the photo in the comments so we can look at these sad Goofy-like faces. And share this article with your friends. We all need a bit of laughter.